The NCAA Tournament is upon us and that means it’s bracket-busting time. It’s a chance for these athletes to really showcase their talents before some of them enter into the NBA. It’s obvious which ones will be lottery picks. But instead of staying in school and finishing college, here’s why they should graduate before entering into the NBA. During the NBA Finals last year, Uninterrupted released an intimate 30-minute video called The Shop, which featured the incomparable LeBron James discussing insider views on the sport that he has dominated for so long – almost too long. The barbershop was the perfect setting to casually talk about issues within the league that featured rapper 2 Chainz and former New York Knicks legend Charles Oakley. The most surprising part wasn’t the presence of Golden State Warriors power forward, Draymond Green – squashing this perceived contentious feud between the two, especially in the midst of the Finals when their respective teams bloodied it out for three straight years. Unpacking this, it simply boils down to a coaching issue, or better yet, a lack thereof. For a layman watcher, it’s hard to see that there are actually NBA players who are considered inefficient. Of course, there are players that aren’t nearly as good as the superstars, but to say they don’t know how to play means that they either weren’t coached properly or the coaching fell on deaf ears. Remember when Phil Jackson tried to run the triangle offense when he took over basketball operations for the New York Knicks and the system was too complicated for some of his players? Well, it’s similar to that. But it all stems from the culture that begins in college – more specifically, the NBA’s one-and-done rule. This rule forces high school players to spend a minimum of one year in college or at a professional level before they are allowed to enter the NBA draft. One-and-done is a flawed rule that essentially forces talent to play in a system they don’t want to, by putting the inevitability of becoming a multi-millionaire on hold. In many cases – not all cases – a player’s maturity level isn’t fully developed after spending a year in college and players lose necessary vital skill sets like making mistakes and understanding resilience. However, it’s understandable when players who decide not to waste time by entering the NBA draft because of socioeconomic backgrounds, which literally afford them and their family a life-changing financial opportunity. Nobody should judge a player’s decision to make the leap due to dire monetary constraints. Another blatant reason why collegiate athletes make the jump is the potential risk of catastrophic injury, which could alter the player’s future and their fortune. Certain players are unlucky with injuries; others,however, are prone to them and there is no way to determine who they are until it unfortunately happens. Derrick Rose, Tracy McGrady, and Grant Hill are prime examples of players plagued by injuries that disrupted their true potential. 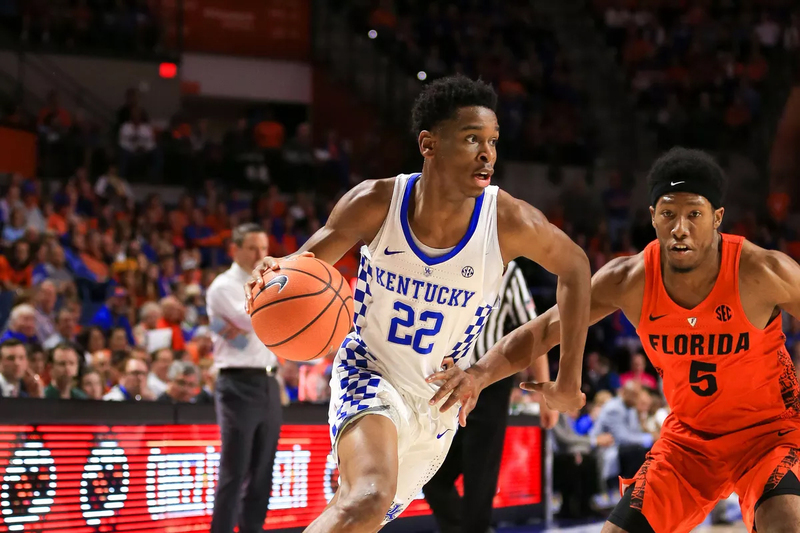 Aside from economics and injury-related reasons, what these young teenage players need to consider before entering the NBA draft, is a self-introspection analysis of their maturity level, which includes work ethic, egotism, coach-ability,and resiliency. The question they must ask themselves; can I handle the amount of pressure that comes with being an NBA player after only a year of development in the NCAA and campus atmosphere? Many current NBA players could have benefited from the growth that comes from a 4-year education. Demarcus Cousins is arguably one of the best centers in the entire league. But the one-and-done talent came with a lot of attitude and emotional baggage. To be fair to the big man, in some cases he gets an unfair shake by referees because Cousins has a reputation of petulant emotions and violent outbursts. Not to mention, he has often been called lazy and immature at the professional level. Could his former Kentucky Coach John Calipari cultivate Cousins into a more fully developed person? Maybe, maybe not, but 4-years and 120 credit hours would have contributed to a more sophisticated mature NBA player. It’s too early to judge with one-and-done rookies Markelle Fultz and Lonzo Ball with an anecdotal analysis. The first overall pick, Fultz, has been injured for a majority of his rookie season, but in his brief tenure as the starting point guard for the Philadelphia 76ers – he wasn’t just underperforming, he looked completely overwhelmed and terrified in some moments. Ball, on the other hand, has looked promising in some games, but like a complete bust in others. The Los Angeles Lakers second overall pick lacks a necessary aggressiveness and his jump shot needs a major overhaul because his shooting percentage is pathetic. These are all skills that they could have developed in college instead of being thrown to the wolves – not knowing how a young mind will react to intense criticism and the media’s constant badgering. But Golden State Warriors power forward, Draymond Green, is the epitome of how 4 years of education and NCAA experience can contribute to the ultimate career success of a future NBA player. Green is definitely a hothead who can’t control his emotions sometimes, but that’s part of his gimmick and why he’s an invaluable part of the Warriors. Green’s smart, he’s mature enough to understand that his emotional outburst fuels his team. The 35th pick of the 2012 NBA draft is not just an undersized power forward who undoubtedly plays bigger than his physical size, but more importantly, he is a leader – a necessary heart and passionate soul to inspire his team. Now, he’s the reigning Defensive Player of the Year and one of, if not the best, defenders in the whole league. That is simultaneously something you learn of what you’re capable of and something that needs to be unleashed. It’s both inherent and also taught. Now, the question becomes whether the NBA is a relentless teachable moment or whether it’s a ruthless substitute for a 4-year education.